Since it’s pouring down outside, not much to do except watch videos until the power goes out… and then watch videos on the MacBook and iPod and iPhone. 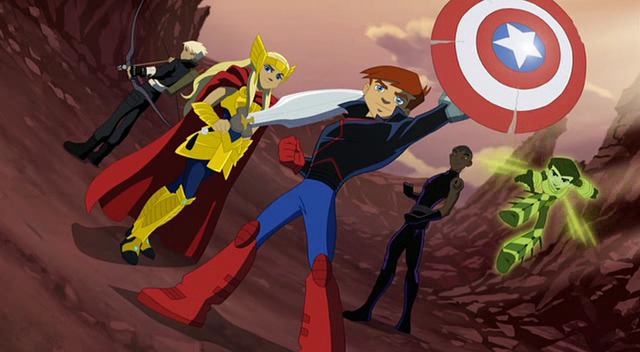 😛 First up was Next Avengers: Heroes of Tomorrow, a fun-filled straight-to-dvd animated movie from Marvel. Honestly, they really should stop with the live movies and stick to the animated ones, they’re a lot more enjoyable. They might even be able to redeem the X-franchise with an animated flick or two… if they can find a way around the fact that they killed off the characters that are the genesis of the freakin’ X-Men. 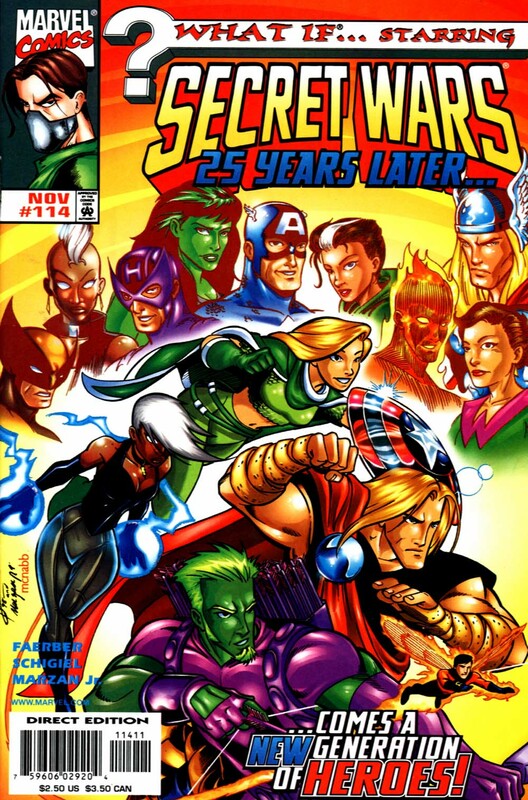 Turns out that I liked the “kids of superheroes over a decade later” idea a lot better when it was a comic book! What If?, one of my favorite comic book titles, touched on this subject with “Secret Wars: 25 Years Later“–if you don’t know Secret Wars* and you like a little old school Marvel comics action, definitely check it out. If the movies and animated movies weren’t so keen on making sure that only the title heroes exist in their universes and barely any other heroes or villains save the antagonist, they could really have a lot of fun. 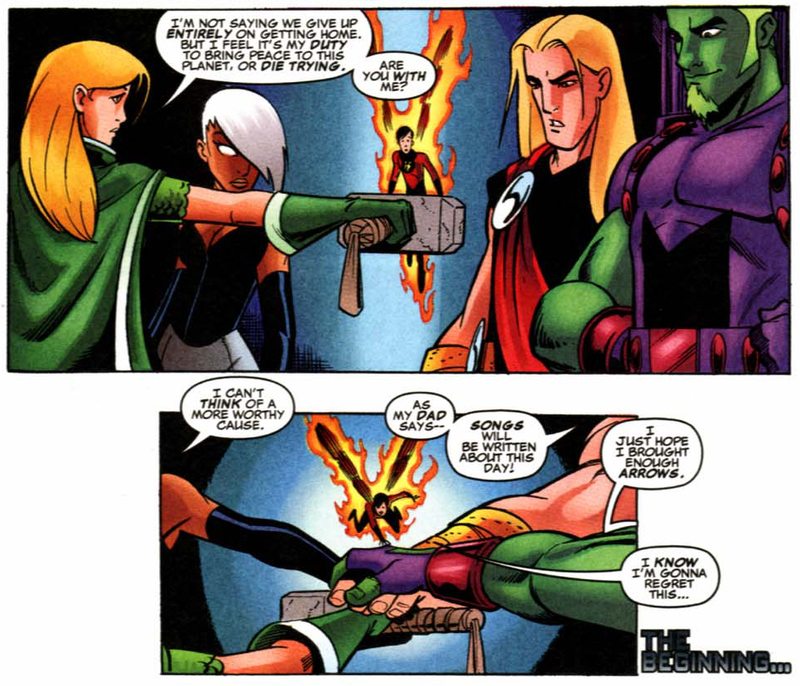 In the comic, the children of the heroes banded against the children of the villains (led by the son of Dr. Doom, of course). Then the parents got into it and then it got a little crazy with The Hulk getting involved and the kids of the heroes heading back to Earth, but of course Earth was overrun with Sentinels by that point. Thankfully that was the end of that volume of the run, though I did expect them to spin that off into a series of its own. They brought back some of the characters in another Avengers story, but surprisingly enough, never in an Exiles book. They even ended the comic on an Avengers-style note. I’m sure the movie makers weren’t really influenced by the comic, but the similarities can’t be ignored. I may have to do a little comic reading this weekend in between chores for old times’ sake. * If you haven’t seen the video ‘Secret Wars Re-Enactment Society‘, you really should. It’s good for the lulz. Previous story happy hour: There will be booze!